He’s a noun. He’s a verb. He’s a gorgeous, senior boy of about 8-and-a-half. And he needs a forever home. This handsome gent is currently in the care of the Humane Society of Western Montana, a returning grantee of the Grey Muzzle Organization! Duck is a distinguished fella with a heart of gold! If you are looking for a best friend to stay by your side, he is the buddy for you. Duck is the perfect dog to hang out in your office all day and would make a great shop dog for any business! His sweet demeanor and calm nature make him the perfect companion. What’s even better? Duck is the Humane Society of Western Montana‘s “October Powder Hound,” so his adoption fee has been sponsored by Big Sky Brewing Company! Visit the rescue’s website for more information on Duck! 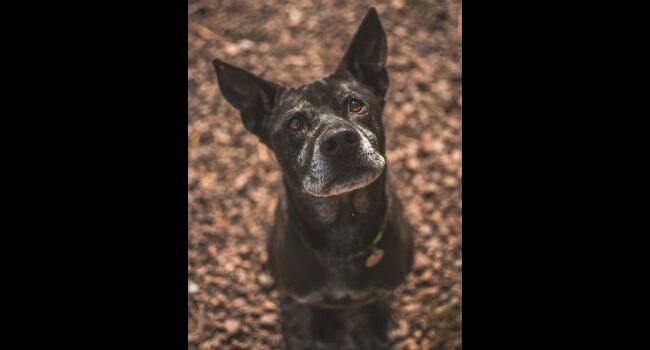 The Humane Society of Western Montana is excited to partner with the Grey Muzzle Organization to help fund life-saving veterinary care for senior pets living with their forever families. 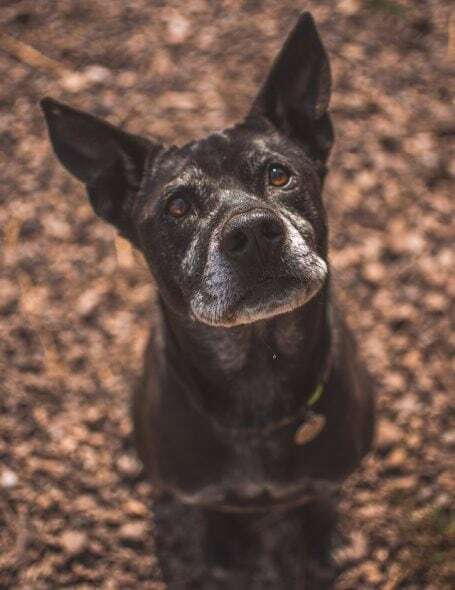 A $3,000 Grey Muzzle grant to the Humane Society’s Nandi Wishcamper Senior Fund will award families funds to put towards expensive veterinary care for their dogs age 7+. When senior pets end up in animal shelters or rescues, they often stay much longer than younger animals, hoping for a home of their own. 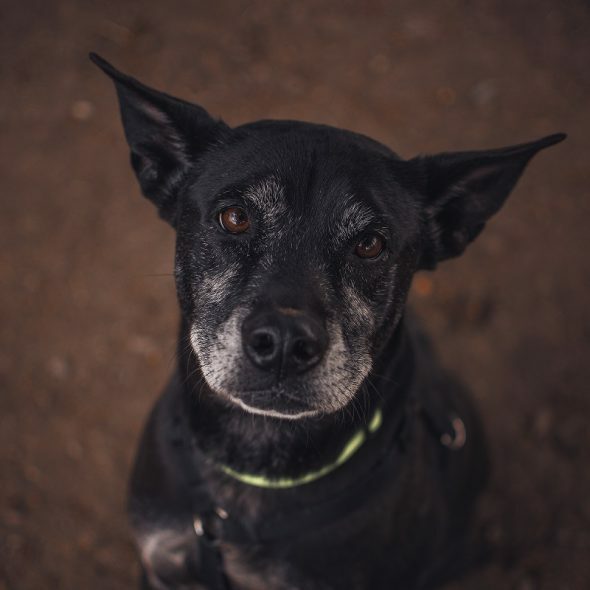 To keep these older pets with their families, and to prevent them from entering a shelter, the Humane Society’s Nandi Wishcamper Fund provides funding to those in financial need to cover the cost of urgent veterinary care for their four-legged companions. Financial awards to families are often coupled with similar awards from Friends of the Shelter, Missoula Animal Control’s auxiliary 501(c)3 nonprofit fund. While the Nandi Fund is available for both dogs and cats of all ages, the Grey Muzzle grant is dedicated to dogs age 7+. The Nandi Fund originated in 2009 after Nandi, an 8 year-old German Shorthair Pointer, suddenly died. Her family set up this Fund in her memory to help people keep their pets. Such a sweet loving face ! Someone please give him a loving home ? He looks so sweet❤️?I wish him luck. How about giving us a Twitter button so we can share the ARTICLE, not just your entire web site! We’ll look into adding that feature. We’ve been doing lots of upgrades of late. For the time being, you can follow us on Twitter – @LifeWithDogsTV – where you will find each of our stories tweeted daily and can retweet from there if you like. Thanks for the suggestion, Cheryl!!! Oh I love him! That face! Good luck sweet boy. I hope you all let us know when he gets a home. I wish I could share him on Facebook and Twitter!